In her paintings, Betsy Eby fuses the line between the musical and the visual composition. A classically trained pianist, she seeks in her work what Rothko described as “the place where music lives.” The layers and gestures of her paintings evoke musical spaces and rhythms while drawing on patterns found in nature. From her early childhood, musical and natural rhythms blended in Eby’s sensibility. She spent her first years of life in a small town on the Oregon coast, practicing at the family piano by the age of five. 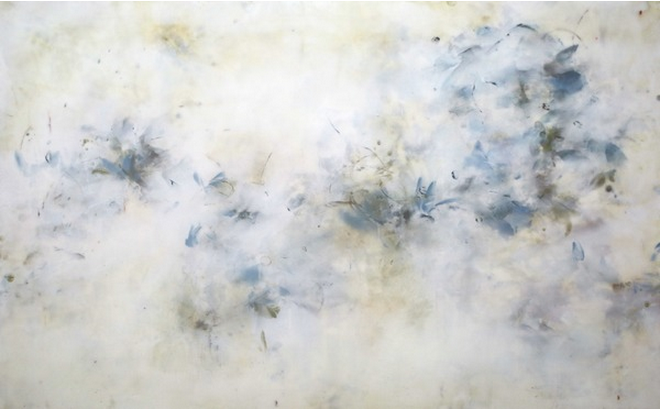 Today her work reveals that interconnected sensitivity: her delicate, organic compositions become synesthesias of sound and image. Eby uses the technique of encaustic, which means “to burn.” The process is an ancient one by which layers of pigments, sap, and wax are fused together by the flame of a torch. 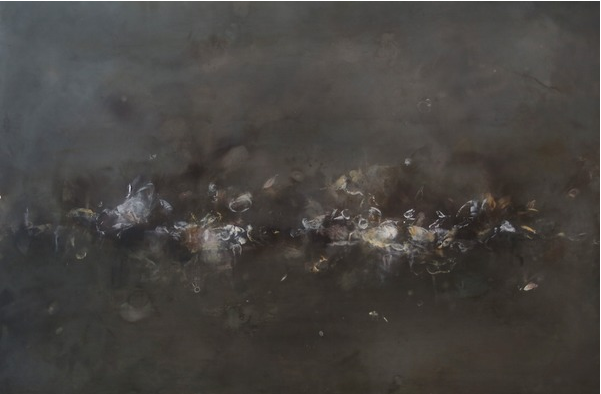 Eby has slowly refined the technique to her own language, composing dynamic surfaces and deep, luminous spaces. Her paintings are visceral, yet for Eby they shimmer with something more of the mystical, hovering between material and immaterial worlds as do the worlds of sight and sound. Betsy Eby received her BA from the University of Oregon. She and her husband, painter Bo Bartlett, split their time between studios in Columbus, Georgia, and Wheaton Island, Maine. She savors the spaciousness and light of both of these studios, and her paintings evoke the atmosphere of the vast ocean that surrounds her small island residence in Maine. Her work has been shown and collected by the Georgia Museum of Art and the Columbus Museum.